Managing Wealth, Making a DifferenceAt The Wetzel Group, we care deeply about the work we do as your wealth management team. At the heart of our practice is a determination to help you do more than just beat a performance benchmark. We believe it is our responsibility to align your finances with your overall mission, using appropriate strategies and disciplines to help achieve your specific goals. If done properly, we feel individuals and institutions today do not have to give up performance to invest with purpose.As passionate advocates for sustainability and philanthropy, we are proud to align ourselves with Morgan Stanley, a firm deeply committed to the same mission-based principles in which we believe. Morgan Stanley has devoted significant resources to these important efforts and is a recognized leader in the Impact Investing arena. Over the years, we have developed the skills to determine the best strategies to pursue your inherent values without sacrificing performance. We understand the importance you place on responsible investing as part of your greater mission. In fact, Morgan Stanley has built an “open architecture” platform that enables us to work with investment managers who can screen for certain securities and introduce investments that correlate to your mission. We are seasoned financial advisors who come to work every day engaged in making a real difference in the lives of our clients. We believe you will not find a team of professionals more committed to helping you achieve your personal financial goals. We are committed to helping you preserve and build your wealth and will work to strengthen your financial security for generations to come. With a complementary set of skills, knowledge and experience, we are a closely-knit team of six seasoned wealth management professionals. We are innovative by nature, seeking out new capabilities to create greater opportunities for our clients. What’s more, we value loyalty to each other and to the families and institutions we serve every day. We have deep roots in our community and a deeper commitment to sustaining its character for future generations. Our clients believe, as we do, in the importance of building a longstanding relationship with their wealth management team. They have grown to depend on our proactive, “high touch” service that is specially designed to ensure every client feels like our only client. Above all, as a multigenerational team who understands the importance of family and the financial freedom to pursue personal interests, they appreciate our true passion for finding solutions to their specific challenges. Over the years, we have enjoyed sharing our knowledge and experiences with our clients, providing perspective and financial guidance as they take on new challenges. 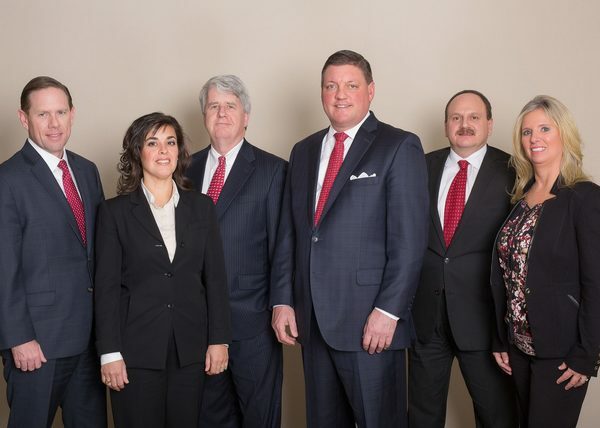 Committed to helping you grow and protect your assets, we will work to earn your trust, so we may proudly be recognized as your financial family through every one of life’s important milestones. As the financial world becomes more complex and investment choices multiply, careful planning becomes even more important. As your Financial Advisors, our role is to help you develop a strategy that lays out a clear path to your goals; one you can easily follow, knowing you are making informed, confident decisions. Together, we will explore a broad range of topics that are likely to influence your financial future. What we discover will become the foundation for an investment strategy that is based on who you are and where you want to go. Over time, we will revise your strategy to reflect new priorities in your life and changes in the investment environment. We begin with an in-depth conversation where we listen carefully to understand what is important to you, your family and your legacy. We learn about the values that shape your decisions and identify any challenges and circumstances unique to your personal situation. Next, we review your current and future financial situation, determine the likelihood of reaching your goals and address any potential shortfalls or the impact of unexpected life events. In this step, we also reach out to your CPA and estate attorney to understand your existing estate plan, so we can ensure the strategies we recommend are cohesive and fully coordinated. Here, we present a tailored wealth management plan with specific strategies designed to achieve your particular goals. Upon your approval and with our guidance, we set into motion a course of action that strives to align your values and vision with your personal definition of financial success. We oversee your progress towards your goals through ongoing calls and meetings. We may recommend adjustments over time, due to changing market conditions or changes in your circumstances, to help keep you on track towards achieving your goals. A Deep Passion for Helping Others. We are dedicated to building deep and longstanding relationships, based on trust and integrity. We do this by working with a select group of individuals, families, foundations and endowments. We guide them through each challenge by maintaining a close relationship, and by providing the experience and strategies to help keep them on course to achieving their specific financial goals. A Team Approach. We believe you are entitled to the best advice possible. As a result, we have assembled a group of highly skilled professionals whose priority is you. As your wealth managers, we review your complete financial picture and help identify any gaps. When appropriate, we consult with key specialists to evaluate your unique challenges and devise specific recommendations. Investing with Impact. Our platform offers a thoughtful approach for those seeking to invest more deliberately towards social and environmental improvement without sacrificing financial performance potential. It represents an important component of our strategic thinking, setting us apart from traditional advisors. Concierge Service. Our clients believe in building a longstanding relationship with their wealth management team. They have grown to depend on our “high touch” service model. Above all, they appreciate our true passion for finding solutions to their specific life challenges. Our practice is focused on helping you make informed, confident decisions on your most important financial concerns. Our ultimate goal is to empower you to spend more time doing those things that matter most to you, knowing we are working hard to help ensure your continued prosperity. Todd is the founding member of The Wetzel Group at Morgan Stanley. 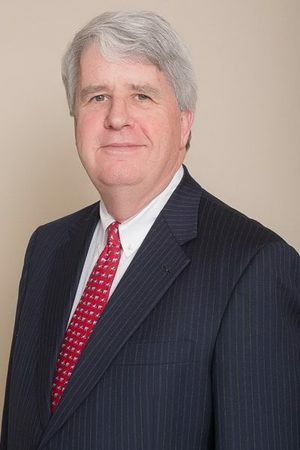 For nearly 30 years, he has earned a reputation for providing highly customized advice and investment solutions to financially successful individuals, multi-generational families and nonprofits in Boston and the surrounding areas. He listens carefully to his clients’ goals, values and concerns and works tirelessly to make a difference by providing comprehensive wealth management services with passion and integrity. Todd grew up in a household focused on finance, as his father was a stockbroker. He learned firsthand the power of investing when he purchased his first share of stock. As he watched the stock value rise and fall, he became focused on how changes in the economy made an impact on his investment. This experience inspired Todd to follow in his father’s footsteps, pursuing a career where he could help individuals navigate the complex global markets, while striving to make a profound impact on the quality of their lives. After earning his B.A. degree in Psychology from Middlebury College, Todd became a Financial Advisor at Smith Barney, a predecessor firm of Morgan Stanley. Today, as a Producing Branch Manager, Todd splits his time as the lead Financial Advisor for the Wetzel Group and managing a team of 20 financial advisors at Morgan Stanley’s Westborough Branch. Todd’s passion for helping his clients is equaled only by his dedication to his family and community. A strong believer in giving back, Todd has served on various boards in Worcester over the past three decades, including the American Red Cross, the United Way of Central Massachusetts, Clark University, the Bancroft School, the YMCA, YOU Inc., Worcester Children’s Friend Society, Worcester Research Bureau, and Worcester Development Corp. Todd is a current member of the Francis Ouimet Fund and past president of the Francis Ouimet Society and the Tatnuck Country Club. He is also a long time member of the Worcester Country Club. Born and raised in Worcester, Todd’s top priority in life is his seven children, four of whom are currently attending college. His hobbies include golf, tennis and spending time at the ocean, especially on the island of Nantucket. Dave brings more than 20 years of asset management experience to The Wetzel Group. As a Financial Advisor, he works closely with financially successful individuals, families and business leaders to develop custom investment portfolios that reflect their specific financial goals, objectives and aspirations. He is also responsible for the team’s new business development activities and is the lead manager of the team’s Investment Committee. Upon graduating from the University of Vermont in 1996, Dave began his career in financial services at NY Life. Discovering that finance was his true passion, he soon joined Pioneer Investments in Boston. Over the next 20 years, he worked for several financial institutions as a mutual fund wholesaler, combining his leadership skills with his passion for coaching financial advisors. He joined Wells Fargo Asset Management in 2011 as the Regional Director of Sales, covering major accounts in the Boston Metro market. With the desire to share his institutional knowledge and build deeper client relationships, Dave joined The Wetzel Group in 2016. Throughout his career, Dave has been dedicated to continuing education. This enables him to remain on the forefront of the most effective financial strategies and to continually strive to create a more powerful client experience. He earned the designation of CERTIFIED FINANCIAL PLANNERTM (CFP®) in 2007 and Chartered Alternative Investment Analyst (CAIA) in 2016. Dave is a strong believer in giving back. A longtime supporter of Project Just Because in Hopkinton and the Big Brothers Big Sisters of Central MA/Metro West, he was an active member of the Upper Charles Trail Committee in Hopkinton from 2014 to 2016. The proud father of two daughters, Elise and Rose, Dave currently lives in Needham, MA. When he is not taking his girls on adventures, he enjoys spending quality time with family and friends. Favorite leisure activities include golf, skiing and mountain biking. Drawing on more than 25 years of industry experience, Rob is highly adept at answering client questions quickly and efficiently. Dedicated to providing excellent service, Rob not only knows how to help meet each clients specific needs, he knows how to anticipate them as well. 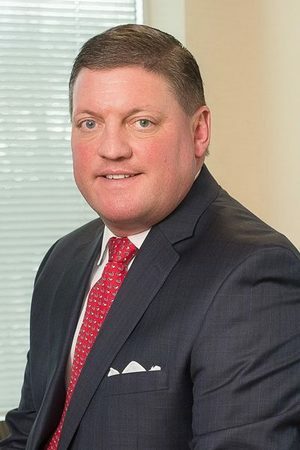 His patience and industry knowledge help provide clients with confidence in addressing their financial decisions.A graduate of New England School of Accounting, Rob joined Merrill Lynch in 1991, where he held a number of roles including wire operator, assistant operations manager and sales assistant. He joined Smith Barney, a predecessor brand of Morgan Stanley, in 1996 as a Financial Advisor, and has been a vital member of The Wetzel Group ever since.As a Wealth Management Associate, Rob works directly with clients to address their specific financial needs and serves on the Groups investment committee. Rob holds the Series 7, 31, 63 and 65 FINRA registrations, enabling him to process unsolicited trades in addition to handling a variety of requests for clients, including portfolio construction and oversight, as well as estate planning strategies.Originally from West Boylston, Rob currently lives in Gilbertville with Kim, his wife of 28 years. They have two grown children and a newborn grandson. When hes not assisting clients, Rob enjoys spending quality time with family and friends, fishing and an occasion round of golf. With more than 25 years of experience in the financial services industry, Joe has been an integral member of The Wetzel Group since 2001. As a Wealth Management Associate and member of the Groups investment committee, he works directly with clients to understand and articulate their financial goals, so he can help implement portfolio and financial plan decisions that reflect their aspirations and objectives. 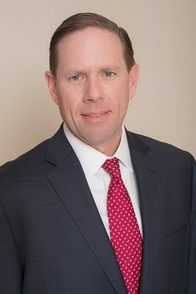 His focus includes portfolio construction, tax minimizing strategies and estate planning issues.A native of Worcester, Joe graduated Stonehill College with a B.S. degree in Accounting. Joe was a Financial Advisor at Oftring and Company before joining the Morgan Stanley family in 2001. Joe holds his Series 7 and 63 FINRA registrations and like Rob, is available to process unsolicited trades when Todd and Dave are not available.Devoted to his family, Joe enjoys spending quality time with his wife, Karen, and their six children and seven grandchildren. Over the years, he has been involved in many local organizations, including the Eastern Association of Intercollegiate Football Officials and Central Mass Conference of Football Officials. 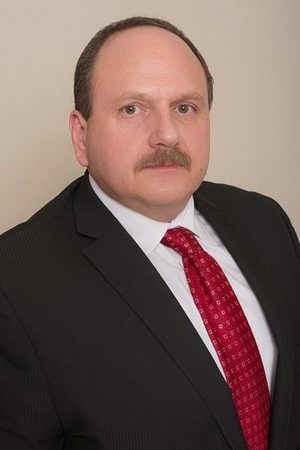 Joe is currently an active member of YOU Inc., a nonprofit social service agency, and is the treasurer of the Worcester Public Library Foundation and the Kiwanis Foundation of Worcester. Debbie has more than 26 years of financial services experience. As a Senior Client Service Associate at The Wetzel Group, she is responsible for a wide array of client and branch operational activities, including opening client accounts, overseeing wire transfers and organizing client seminars. Debbie is a consummate professional and is committed to identifying service solutions to deepen client relationships and ensure an excellent client experience.Debbie began her career with PaineWebber (now UBS) in 1991, where she held several important roles, including Sales Assistant, Branch Technical Liaison and Branch Administrator. 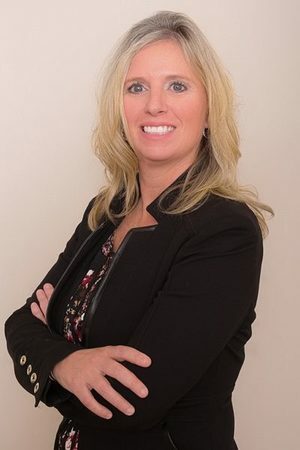 She joined Todd Wetzel at Smith Barney in 1997 and has been an integral member of his team ever since, moving with him to Morgan Stanley in 2001. Later that year, Debbie was diagnosed with Multiple Sclerosis (MS) and soon became an active member of the National MS Society, participating in many fundraising events. To date, Debbie has raised over $25,000 towards research efforts to end the progression of this sometimes debilitating disease. Debbie has two children, Alex and Taylor, and resides in Weymouth, MA with her daughter and fiancé, Michael. In her free time, she enjoys sailing, traveling and bike riding. 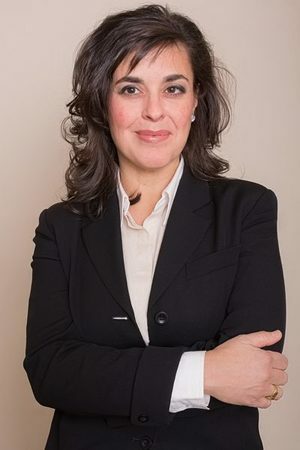 Serving high net worth individuals, families and nonprofit organizations since 1996, Isabel is a Senior Registered Associate and Branch Manager Assistant at The Wetzel Group. Often the first line of contact on a broad array of client-specific services, Isabel is committed to providing each client with caring and personalized attention. Her exceptional interpersonal skills make her the go to professional to solve problems and ensure clients enjoy a positive experience with every interaction.Through ongoing outreach and communication, Isabel leads a number of important aspects of the Groups business management and client servicing activities, helping gain a deeper understanding of each clients set of priorities. And as a Senior Registered Associate with her Series 7 and 66 securities licenses, she is able to execute trades on behalf of the Financial Advisors on the team.Over the course of her career, Isabel has had the opportunity to work in a variety of client service roles. Prior to joining The Wetzel Group at Morgan Stanley in 2008, she worked as a team leader of quality and assurance at Aetna Insurance in Connecticut, a wire operator/ cashier and client service associate at PaineWebber in Florida, and a registered client service associate at UBS in Boston. She maintains her Series 7 and 66 FINRA registrations and is a Notary to the Commonwealth of Massachusetts. Born in Hartford, CT to parents who emigrated from Portugal, Isabel currently lives with Michael of 25 years and their dog Sal in Southbridge, MA. She is Vice President of The Friends of the Jacob Edwards Library where she is also an active volunteer. In her free time, Isabel enjoys many creative activities, including gourmet cooking, painting, handmade greeting cards and flower arrangements. Ready to start a conversation? Contact The Wetzel Group today.